How do you decide if your company really needs a design system? Most companies do if they are at a stage in the company or product's lifecycle where the design direction has been defined. If some of the knowledge of how to design for your product, create mockups, ship and review code lives in one or more people's heads, and you feel the need to write things down, you probably need a design system. I have written a little bit more about this topic. When’s the right time in the product design process to start creating a design system? If you're in the exploration phase, trying to define your brand and design language, it might be good for you to start pinning down some parameters and constraints for what you want to create, and not necessarily start a design system. If you define design principles you want to follow, these can later become a part of your system, but I wouldn't start building components or defining processes at these early stages. How do you build a design system on a budget with limited resources? The cost is in people's time. Define a design and and engineer lead for the system. These people (sometimes it's just one person) can start small, part-time, and pull in people who might want to lend a helping hand until you can prove the value to the rest of the organisation and get more people's time. This usually takes the form of "look at how quickly I built this prototype" or "look at how much better our website looks". What are your favourite tools and techniques for creating design systems? My absolute favourite technique is the cut up workshop (I tend to skip Part 3, though). It's always super fun, a break from a normal day; designers, engineers, everyone enjoys it and makes people feel part of and invested in decisions. 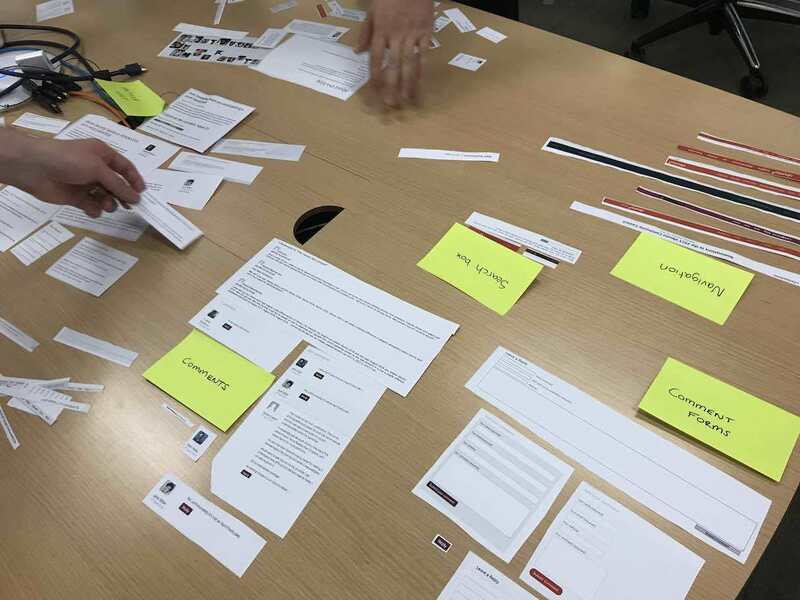 What are the top lessons you’ve learned from creating design systems at Canonical and now Make Us Proud? Engineers usually want better defined processes, and designers tend to want more control over what's shipped into production code. How do you test a design system? Get other people who haven't built the components or designed the UI kit to implement them, instead of the design systems team (if you have one). People who are not as close to the project will easily find issues in the documentation, the process, and the flexibility and robustness of the UI components. What’s the biggest challenge in maintaining a design system? Maintaining accurate and up-to-date documentation has to be within the top three biggest challenges. Practical tips to make sure their teams use and maintain their design system. Pixel Pioneers Bristol on 8 June features seven other talks covering design systems, inclusive design, perceived performance, variable fonts, and more. There are also two workshops on easy and affordable user testing and UX psychology on 7 June. Tickets are still on sale. Photo of Yaili by Adam Perfect.